So it’s estimated that this year Australians will buy about $29 billion worth of Christmas gifts for their loved ones (and their maybe not so much loved ones too). It seems to me the frenzy begins a little earlier each year, and somehow gets more and more frenzied. I’m not one to buy everything the year before during the Christmas sales and put it away (y’all know who you are – champagne Tara, amongst many, many others). Gosh, I truly wish I could be that organised and have such foresight. Not me, I’m generally on a need-to-know basis with myself. 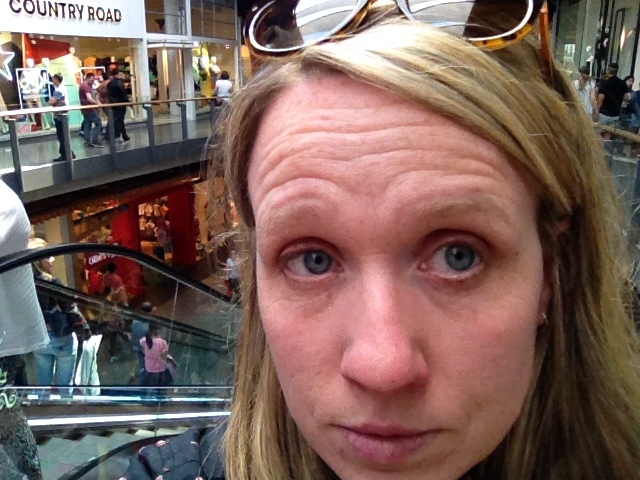 I do try to enter each Christmas season with a renewed enthusiasm for conscious and considered spending, but I often find the whole thing overwhelming and anxiety-provoking. I don’t know if it’s the closet agoraphobic in me that tends to come out at any busy shopping centre in December (I’m convinced they turn down the oxygen in those places – makes us buy more) or that Christmas shopping is just another way for me to feel like I’m not measuring up (cause it’s ALL about me). This is what renewed enthusiasm looks like. As a kid in my family we’d seemed to equate buying stuff with love. This is a tradition I am working hard not to repeat with my own kids but I do have an internal battle with the part of me that thinks I’m a terrible mother if there aren’t 77 presents each under the tree on Christmas morning. So again I hear myself saying, “This year will be different: no panic, no stress”. But if I’m completely honest, this is all usually thrown out the window in the days leading up to the big holiday. I’ve been reflecting on this all for the past few weeks. I have to say I was COMPLETELY inspired by Champagne Tara’s post on making hand-made gifts for Christmas, which you can read here. So far I’ve come up with some strategies to get me through the next few weeks with my nerves and bank balance intact. I’ve been makin’ a list and checkin’ it twice. It’s kinda just the same as the golden rules of food shopping. 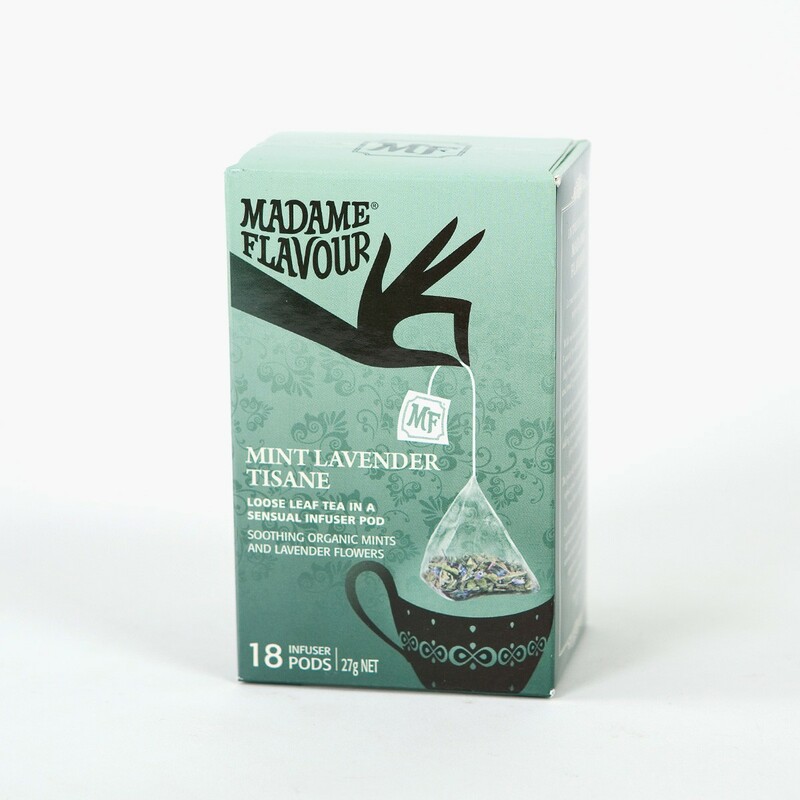 If I make a list in the calm climes of my home (preferably with a cup of Mint and Lavender tea from Madame Flavour), I’m less inclined to incidental overspending. I’ve been doing a lot of internet research – I’m still a huge fan of actually going into a store to buy gifts, but the internet definitely takes the pounding out of the pavement and helps me to streamline my shopping. It also means that when I do have time to meander through the stores I actually enjoy it a lot more because I’m not rushing to decide there and then what to get. This year I’ve pilfered almost everything from champagne Tara’s post. Bloody good stuff. The local bits and bobs shop (you know, the ones that seem to have everything you ever wanted or thought you might need for $2 or less) has some great jars and packaging for homemade delights and my kids and I have been happily decorating and planning. I love the planning stage so much! Considering a donation? Champagne Carolyn gave me a goat from Oxfam about a million Christmases ago. It meant so much to me and I thought it was the most excellent gift. You can find out more here. I was complaining about my Christmas dilemma to some of the kindy mums this week and we started discussing how we all handle the whole shebang. This year I’ve decided to get each kid one big thing from me. Another family break it down something like this: Something they want, something they need, something to wear and something to read (thanks Brooke). I think this is a fantastic way to contain the process. I love the idea of creating our own family traditions – there aren’t a lot of holiday traditions left over from my childhood but each year I pick up something to fit with our little family. So far we always put on the golden oldies music and cook cook cook! A bit of Bing and a bit of Ella or Doris always sounds like Christmas to me. This year I’m determined to bring a little bit of religion back to our Christmas. It is, after all, a religious holiday. I am not a practising anything – most would probably call me agnostic – but our local church puts on a big show with a nativity play and an amazing Polynesian choir (ah, the benefits of living in a multicultural society right there people!). Despite the fact that I may not “feel the spirit” doesn’t mean an experience like Christmas in a church won’t spark some inspiration in my kids and it is all about them, really. I’m setting out to really enjoy this Christmas. No doubt I’ll forget to buy a present for Auntie Edith or little Ralphie next door* but I’ll try to include everyone in my thoughts. My little family wish you all a very merry Christmas this year. * Names have been changed to protect the identity of family and friends who will miss out on gifts. we’ve adopted your tradition of new jarmies the night before. Love it! Christmas plagiarism is alive and well around here! What a beautiful post, thanks Sarah. It’s given me loads of inspiration. 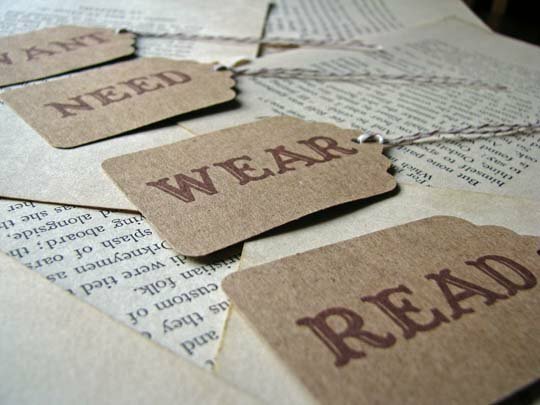 I love the want, need, wear, read idea – lovely! I think that many families must struggle with this every year. Last week I did an online order of some clothes for my brother and sister from asos. It is definitely the last time I will do it, sure its convenient and not expensive, but flying stuff over here on a big plane, garments made in bangladeshi sweat shops no doubt – not very sustainable or good for the worlds people or the earth itself. I really need to actually live my principles on this one, get prepped a lot earlier in the year and focus on big picture. Thanks again Champagne Sarah, a good nudge and a reminder! Can we schedule this to repost in October hahahahaha. Actually I’m not kidding, Champagne Carolyn?